The first day of the retreat was definitely the most confusing due to the fact that I had no idea of the events that would take place during the amazing experience. However, I was eager to begin. The schedule was a little off, because we started the day a couple of hours later than we should have. 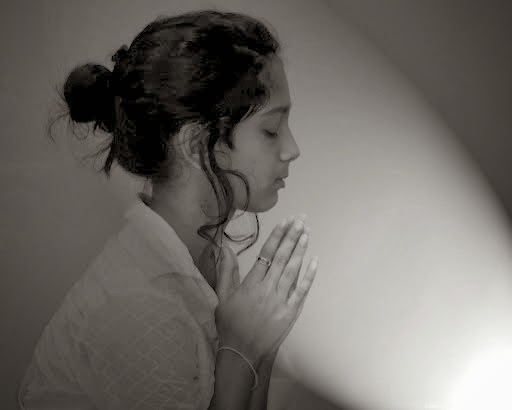 We began the day by observing the ten precepts, which most people do not get the chance to do. 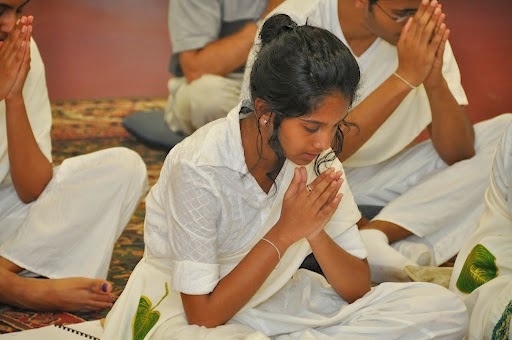 Because I had trouble getting my mind to focus, the meditation was the most challenging part of the day. Instead of cooperating, my mind kept getting easily distracted by the littlest of noises. Until this day I had no idea how hard it is to concentrate on a given object. During the Dhamma talk we discussed a Sutra called "The Trainee's powers". This Sutra explained the five powers of a noble disciple. The five powers include faith, shame, moral dread, energy, and wisdom. In Pali they are called Saddha(faith), Hiri (shame), Ottappa (moral dread), Viriya (energy), and Panna (wisdom). Later, we visited the Vietnamese temple. It had a very roomy shrine room with a huge bell in the back. Behind the shrine room was a separate room where pictures and ashes of the dead were kept. Outside of the temple there was a pen of peacocks and a gigantic statue of a Laughing Buddha. Once we returned back to the temple we concluded the day with the Atavisi Puja. We woke up at 5:00 a.m. today, which was a little bit difficult for me. Although the morning meditation was a little better than the first day, I felt as if my mind was not fully focusing. I learned that concentrating on a part of your body that is in pain will cause the pain to vanish. I was surprised to find out that it actually does work. I also found out that there are six different ways to focus bodily contemplation; breathing, postures, clear comprehension, repulsiveness, elements and charnel ground. The four postures are sitting, standing, walking, and lying down meditation. We also learnt feeling, mental objects and Dhamma sections known as four foundations of mindfulness. For the work period we cleaned all the windows, which was a very quick and easy task. The highlight of the day was the Abhidhamma session taught by Uncle Deeptha. Although Abhidhamma is a hard concept to grasp, as Uncle Deeptha said, it was definitely interesting. During this session I learned that the Buddha's teaching is a deep form of science that is yet to be discovered by scientists. I also acquired that the word " Abhidhamma" means deepest phenomena. Once again, we ended the day with the Atavisi Puja and a little journal writing. Just like before we woke up at 5 a.m. This time it wasn't as hard as it was before. The morning meditation was my favorite meditation that I have ever done. Even with the sounds of birds chirping and other little distractions in the shrine room I was able to concentrate on the breath the whole time. Today we demonstrated lying down meditation for the first time. This form of meditation is done by simply lying on the right side with the right arm cradling the head and the left arm along the side. Because we skipped the work period, it gave us a chance to visit the Cambodian temple. Venerable Wajirabodhi Thero told us that the Cambodian Buddha statue is similar to the Thai Buddha statue. The shrine room of the temple consisted of vibrant colors, statues of goddesses, and of coarse a Buddha statue. The exterior shrine room, which was very detailed, was surrounded by Simas. This boundary is placed around the temple, it stands as a limitation. During a special occasion people are not allowed beyond it. Through out the Abhidhamma session I learned that ignorance is the beginning of Sansara, it is also the cause of suffering. I was also taught that the mind is located in the heart and that the mind is even faster than the speed of light. 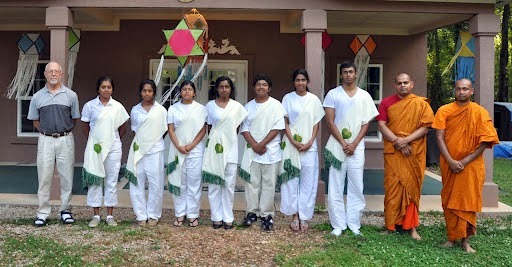 Once the Abhidhamma session was over we all worked together to prepare for the Atavisi Puja. Afterwards, we concluded the retreat with a group photo. This experience changed my perspective on Buddhism; I am now more committed to following the teachings of the Buddha. So, I would like to thank my parents for encouraging me to participate in this program. I would also like to thank Venerable Wajirabuddhi, Venerable Wajirabodhi, Mr. Steve, uncle Deeptha, aunty Shrima and all the other parents and friends who made effort to make this program success. Thanks to you all, the program was an experience I will never forget!